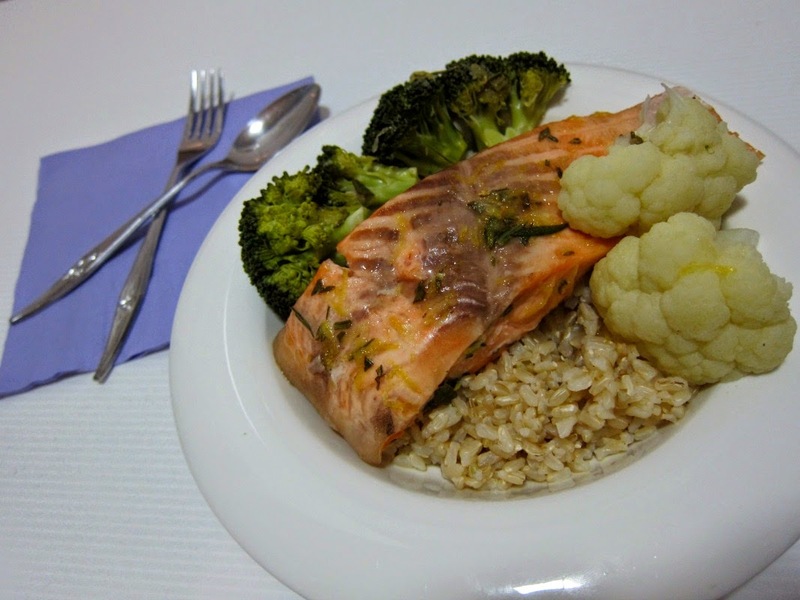 Mix the marinade ingredients in a small oven-proof dish and pop the salmon in. Preheat the oven to 180C/360F. 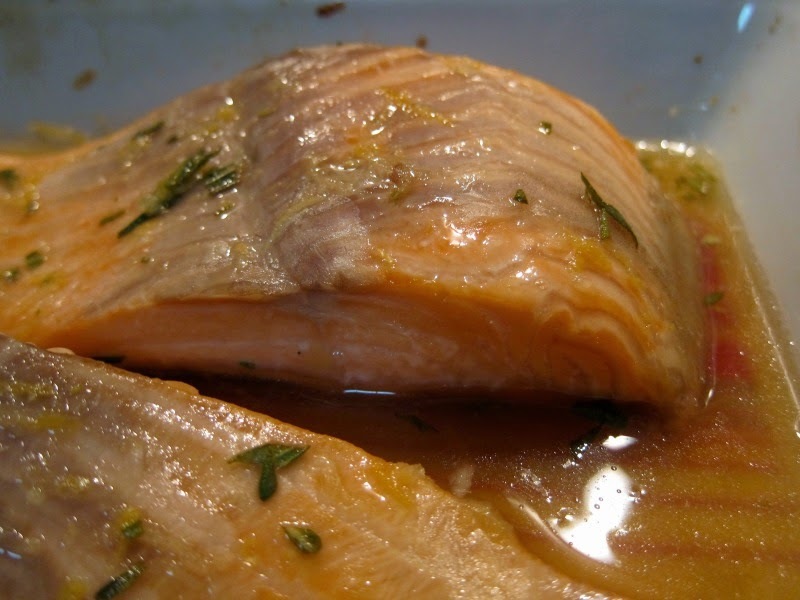 While the oven is heating up keep turning the salmon so that the marinade can flavour the meat. 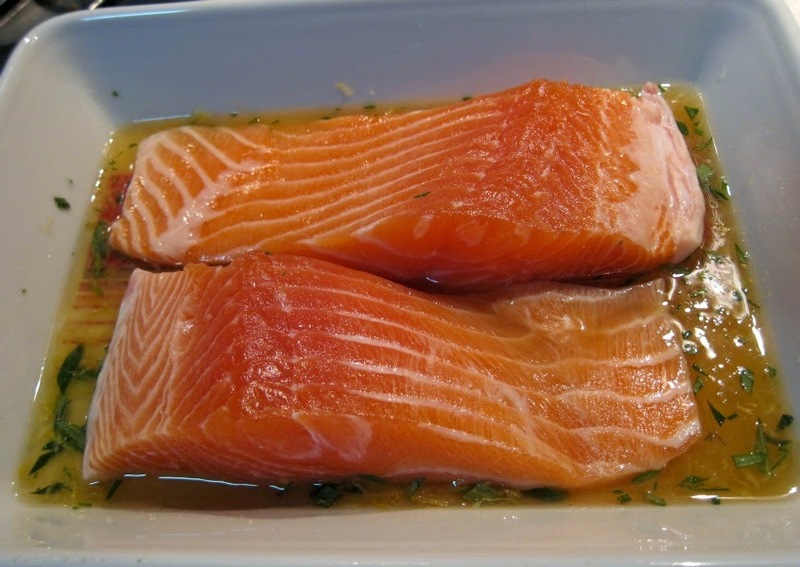 Bake for 15-20 minutes depending on the size of the fillet and how cooked you like them. 15 minutes for two smallish fillets (about 150g/6 oz each) will cook them through. If you like them rarer then 12 minutes will do. Allow to rest for a few minutes. Then serve with your choice of sides. 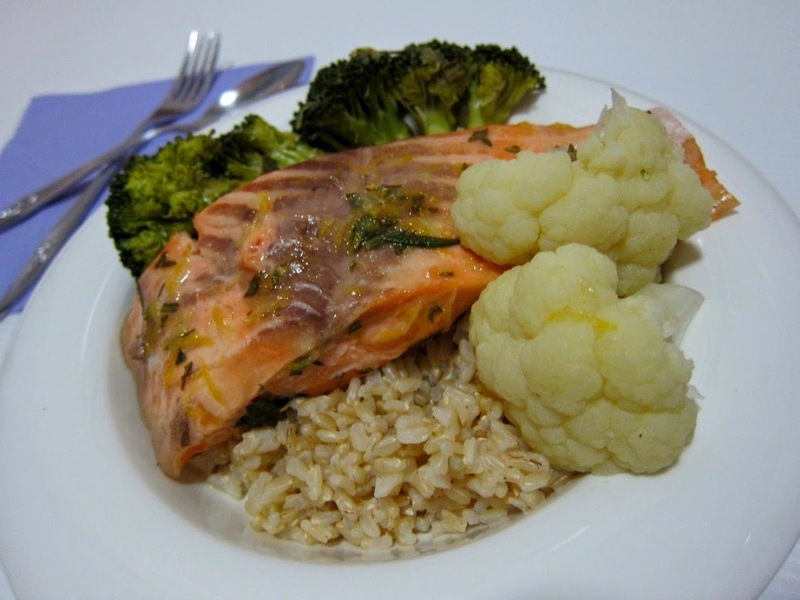 This sauce is delicious drizzled over steamed vegetables and brown rice for a clean, healthy dinner. I've mostly just used it for a hint of sweetness instead of the brown sugar my standard recipe uses, the actual flavour of the maple syrup was pretty subtle. Mmm that looks delicious! I love the healthy variation; I don't think many of us realize how much sugar we actually intake!